Do a reader’s theatre performance of Eric Carle’s The Tiny Seed. This book is easy to turn into a script. You can have a narrator, and you can give speaking parts to the other seeds and the animals. If you want to do a performance for parents, you can also make costumes and scenery in your classroom. Cause and effect is an easy reading skill to practice when doing Tiny Seed activities. What causes the seeds to scatter? What effect does the sun have on a seed? and so on. With younger children, you can discuss the different causes and effects. Older children can write a few cause and effect pairs in their reading response journals. Assign students to write a story titled, “A Day in the Life of The Tiny Seed.” Ask students to pretend they are the tiny seed, and make up some adventures. For younger students, you can do this writing activity as a shared writing. Students can write a paragraph about the plant cycle based on the information they learned in The Tiny Seed. This should be an informational paragraph with a topic sentence, body sentences, and conclusion. Older students can write this paragraph on their own or in pairs. Younger students will probably need to do this writing activity together as a class with the teacher writing on chart paper. Students supply the ideas for the paragraph. 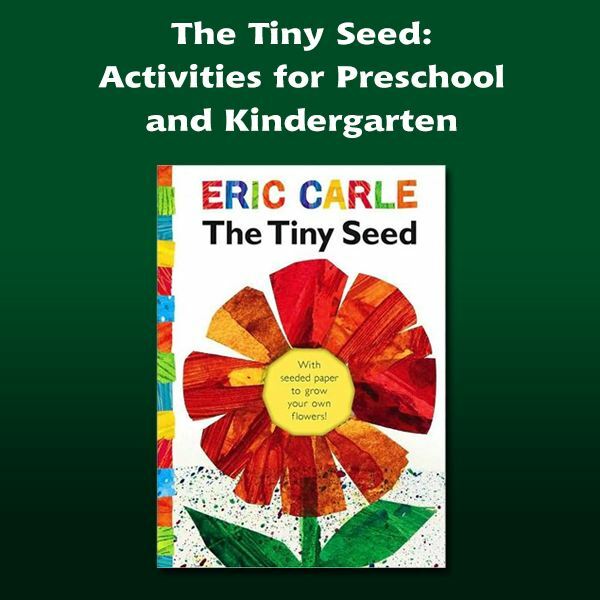 Tiny Seed activities should be fun and educational at the same time. An obvious activity is to grow seeds in your classroom. Some teachers prefer to plant a few seeds in large pots and have students take care of them in groups or as part of their classroom jobs. Other teachers will have each student plant seeds in styrofoam cups. You have to decide for your classroom which method will work best with your students, which will meet your objectives, and for which you have the money and resources. Students can draw posters of the plant cycle based on the information they learn through The Tiny Seed activities. Discuss with students what it takes for seeds to grow and why various seeds do not grow throughout the book. Make a chart or poster with students about the needs of plants and seeds to hang in the classroom. Young children love “The Tiny Seed” by Eric Carle. Kindergarten and first grade teachers can use this book to teach a variety of lessons in reading and math. These articles will give you ideas to use in your classroom in these subject areas.